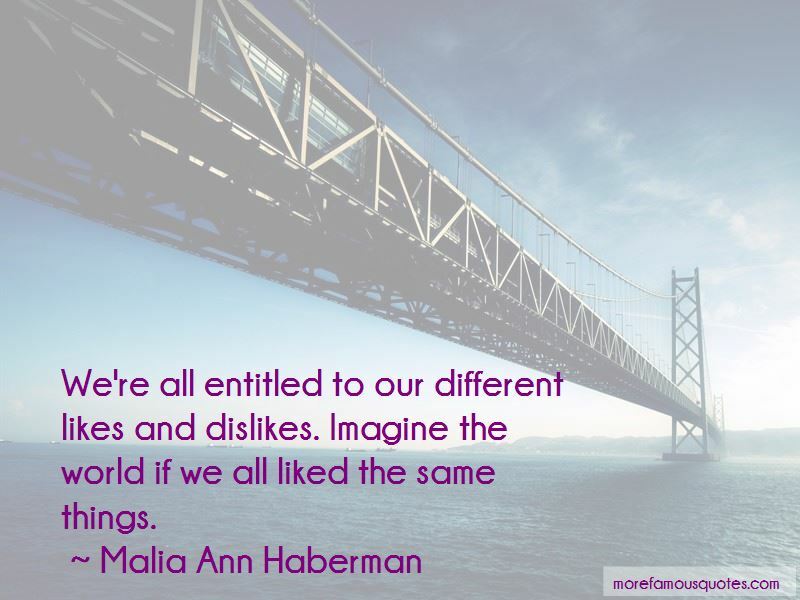 Enjoy the top 3 famous quotes, sayings and quotations by Malia Ann Haberman. Yeah, right. 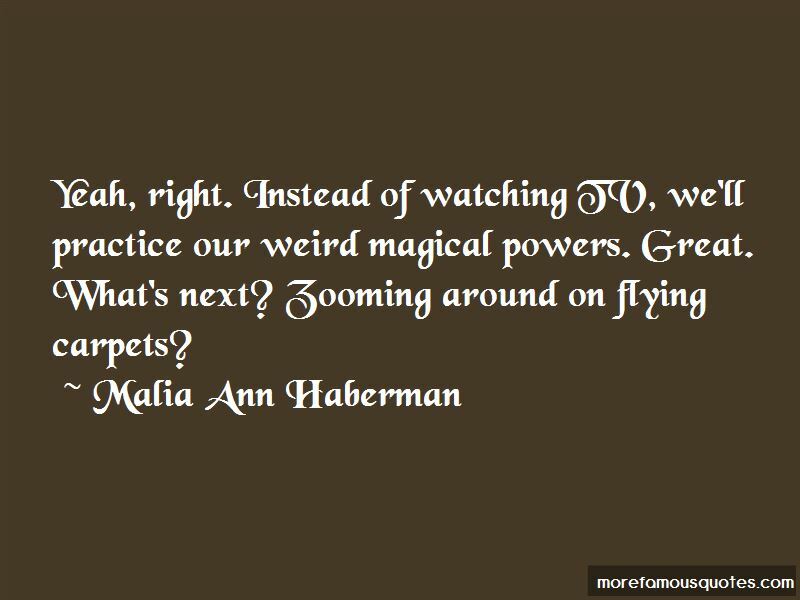 Instead of watching TV, we'll practice our weird magical powers. Great. What's next? Zooming around on flying carpets? Want to see more pictures of Malia Ann Haberman quotes? 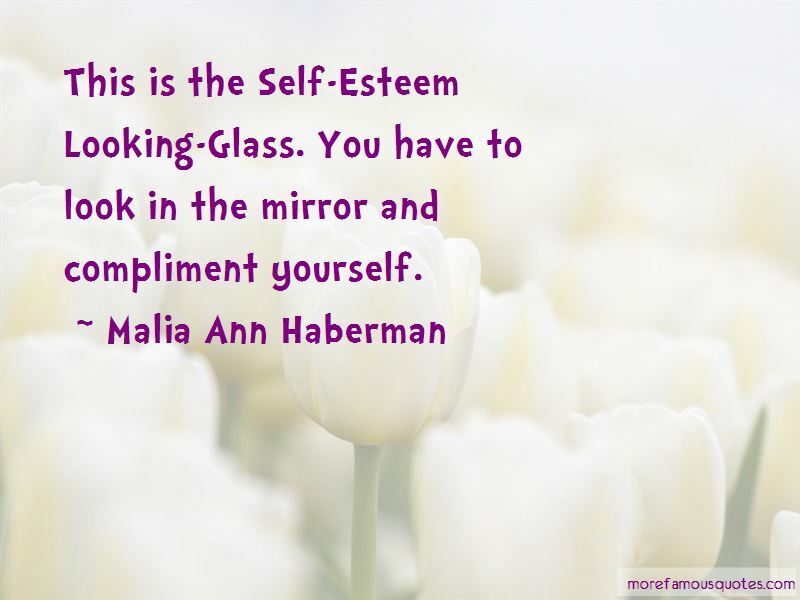 Click on image of Malia Ann Haberman quotes to view full size.